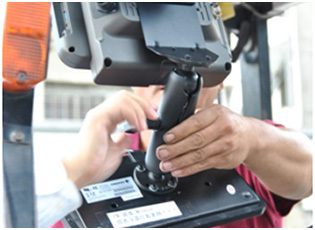 Winmate's FM10 series of vehicle-mount computers are installed to replace an existing, less robust system. This new setup enables users to increase material handling, reduce cost associated with delays in handling, as well as streamline the supply chain. This computer can be securely mounted inside a forklift, providing work flow, scheduling, tracking, and the exact location of any piece or product throughout the warehouse. In warehouse environments, safety, security, and fast, reliable data collection and communications are imperative. With so much activity taking place from inventory management to order fulfillment, as well as asset tracking and shipping/receiving, the warehouse floor is a complex ecosystem that requires high-efficiency technology to keep it running smoothly. 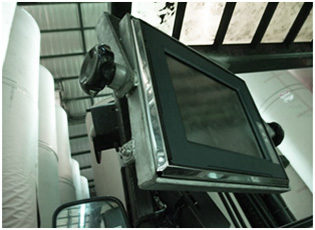 To meet this requirement, a large customer in the pulp and paper industry in Taiwan refurbished their existing system with a Winmate FM10 vehicle-mount computer. 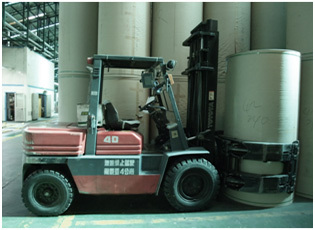 The new FM10, was installed on the forklift for use as a data capture device via the external barcode scanners. With the new setup, errors from pickup to final delivery were minimalized. Improved workflow and accuracy meant an overall smoother and safer operation for the entire facility. 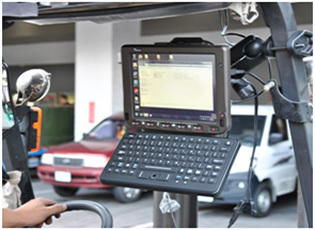 Winmate’s full line of vehicle-mount computers help minimize errors, streamline ordering and inventory management, and improve operational efficiencies. Why Winmate and Why FM10 Vehicle-Mount Computer? At Winmate, we are at the forefront of rugged mobility technologies and understand industrial operation needs. Our-in-depth knowledge of rugged designed systems combined with our in-house engineering and testing facility enabled us to deliver a durable and reliable solution to our customers quickly and efficiently. The FM10 – 10.4" Vehicle-Mount Computer operates on a 1.91GHz Intel Atom E3845 and the full Windows OS. The device features a GFG resistive touch screen with 1024 x 768 pixel resolution. The FM10 is designed for applications that primarily rely on touch input on a large display, with the added benefit of readily accessible programmable function keys. The FM10 delivers flexibility and mobility in a vehicle-mount form factor, designed to easily be removed from the dock with a one-click top latch. Since the dock remains attached to the vehicle, this device can easily be moved or switched from one vehicle to another vehicle.